Mr. Thakur is responsible for corporate planning and overall operations of the company. He established Shyama Power in 1979 in North-East India and has grown it many folds since then. He is credited with establishing Shyama Power as one of the few companies that can undertake projects in the hardest terrains of India like the North-Eastern States. 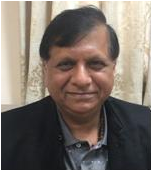 He has 47 years experience in management and operations of companies in power, steel and software industries. 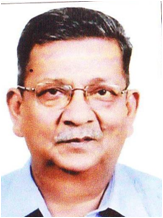 He has also served on the Board of Directors of Bank of Baroda for 3 years. Bank of Baroda is one of the largest banks in India. Mr. Binod is responsible for overall Project Management, Financing and Human Resources for the company. He coordinates various financial institutions and banks to manage company’s finances. He has more than 24 years of experience in running companies in Power and Software Sector. He has helped Shyama Power grow at more than 100% rate for the past 5 years. He also manages Shyama Power’s software subsidiary i.e. Shyamasoft. He orchestrated the acquisition of Kaizer Software Solutions into Shyamasoft and runs this business unit for Shyama Power. Mr. Santosh is responsible for Business Development, Contracts and Operations of the Company. He is an alumnus of Claremont Graduate University of California, USA. After his MBA he worked in a leading Internet Service Provider in California and developed their business in Southern California. After 4 years he returned to India to work with Shyama Power. 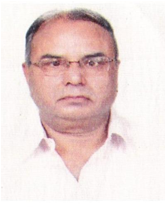 Mr. Sehra has been with the company since 1996 and is leading the company’s technical wing. He is also responsible for overall planning & production of the fabrication unit of the Company. He has over 56 years experience in Planning, Design and Construction of Transmission Lines upto 765kV. Before joining Shyama Power, he worked at Birla GTM-Entrepose Ltd. as GM/Advisor for 3 years. Before this he retired as Director (Transmission) at Central Electricity Authority (CEA). Mr. Mayank is Vice President for Corporate Strategy and Marketing. He oversees the strategy for our firm and identifies areas of future investment. After completing his B.E. in Mechanical Engineering, he worked with Tata Motors in Jamshedpur and Pune. He then completed his MBA from Ivey School of Business in Canada. During his 10 year stay in Canada and USA, he worked with Deloitte Consulting, Siebel Systems and finally Oracle Corporation. At Oracle he was the Senior Director of Product Strategy and Management for Oracle’s Application in Manufacturing Industry. Md. Reyaz Akbar joined the company in 1984 and is responsible for project management and construction of Transmission Lines and Substations in North Eastern Region. He has over 36 years experience in construction, operation and maintenance of EHV Transmission Lines and Substations upto 220kV in North Eastern Region of the country. Mr. Mahanta joined the company in 2008 and is responsible for finance department of the company. He has over 37 years experience in banking. Before joining Shyama Power, he worked at Bank of Baroda as Chief Manager. 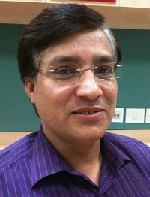 Mr. Chamoli joined the company in 1996 and is responsible for contracts and tendering for the company. He has over 27 years of experience in contracts, procurement, tendering and execution of orders. Before joining Shyama Power, he worked for 5 years with Birla-GTM Entrepose Limited. He has over 40 years experience in Planning, Design,Engineering,Procurement, inspection, Quality Control of Transmission Lines & Substations upto 400 Kv Level. Before joining Shyama Power, he worked at Accelerated Power Development & Yamuna Gases & Chemicals Limited as President (Technical). Mr. Hazarika joined Shyama Power in 2016 He is responsible for Management of Engineering, Tendering, Quality Control, Store Management,Safity Management for NER & Bhutan. He has over 38 years experience in Project Execution of Transmission Lines and Substations. Before joining Shyama Power, he worked for NEEPCO as Executive engineer and Powergrid as General Manager. 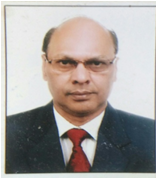 Mr. Gopal Gupta has joined Shyama Power in Feb 2016. He is responsible for Substation Design, Transmision line design, Quality, Assurance,Inspection & cost engineering. 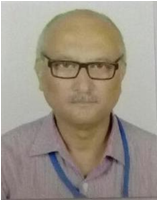 He has over 25 years of experience in cost engineering, Quality assurance, Inspection & Project engineering.Before joining Shyama Power, he worked for Powergrid as Executive Director & National Hydroelectric power Corporation India Ltd as Manager (Design). Mr. R.C. Sharma is responsible for look after Finance & Part of commercial activities, Liaison work with various Department's, FI's/Banks. Before Joining Shyama power, he worked as a Chief Manager of a pear Nationalized Bank, having over 40 years of experience in Credit, monitoring, Forex and Branch Banking Operations. Mr. Abhay Shankar Pandey has joined Shyama Power in 2016. He is responsible for planing, construction & substation civil work. He has over 38 years of experience in Project Investigation, Corporate Planning, Construction of EHV substation & Hydropower station. Before Joining Shyama power, he worked with Powergrid as DGM and NHPC as Dy Manager.